Prof. James Mori and Assoc. 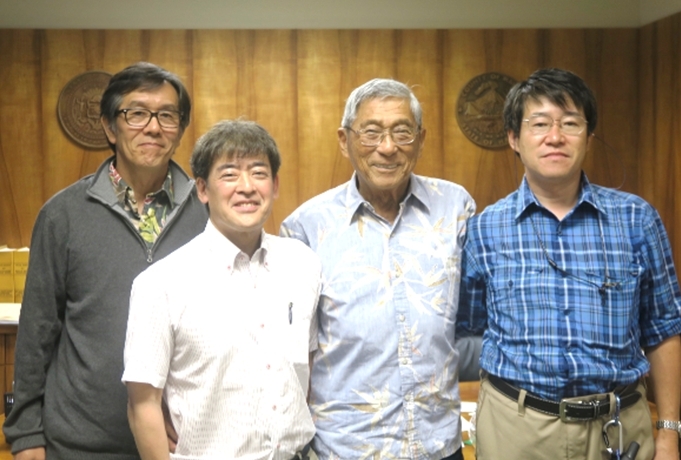 Prof. Shiro Ohmi of the Research Division of Earthquake Hazards met with Mayor Harry Kim of Hawaii County to hear about the effects of the 2018 Kilauea eruption on the local communities, the National Park and tourists. 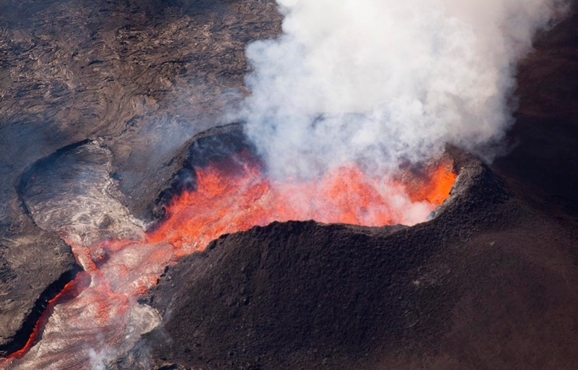 The eruption has destroyed over 600 homes (including a house of the Mayor), displaced over 2500 people and closed the National Park. The mayor is a former emergency manager with experience in volcanic and tsunami disasters. They discussed the roles of USGS scientists, government officials, National Park staff, and emergency response officials for the current Kilauea eruption. They also met with National Park staff and USGS scientists to discuss the effects of the 2018 Kilauea eruption on the popular Volcanoes National Park (5000 visitors per day) and the visiting tourists. 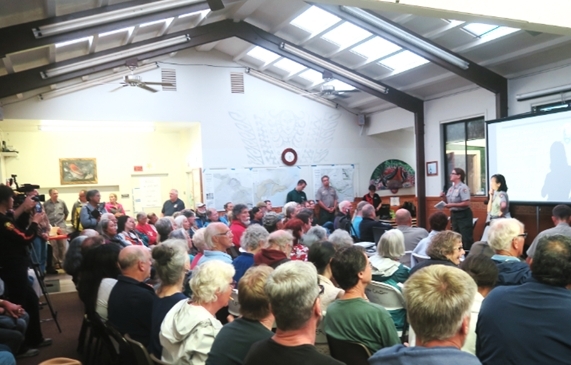 They attended a local town hall meeting for the public where the USGS and National Park Service staff explained the current status of the volcano and the Park closures. This problem of people visiting active volcanoes is important for volcanoes monitored by DPRI (Sakurajima and Yakedake) which have many tourists. Harry Kim (Mayor, Hawaii County), Shiro Ohmi (DPRI). June 27, 2018. Hot lava flow entering the ocean. 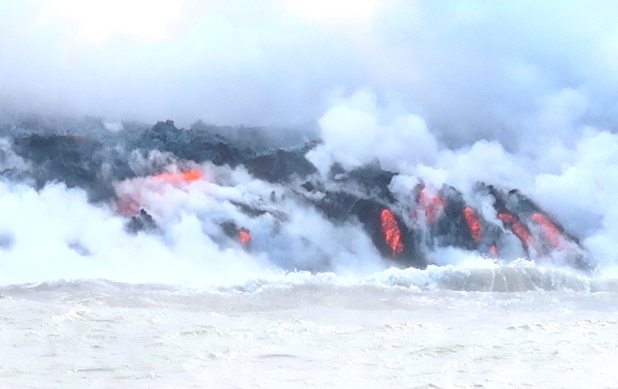 The lava completely filled the former Kapoho Bay. June 25, 2018. Public town hall meeting organized by the National Park Service. Information was presented by USGS scientists and the National Park Service staff. Also, many questions from the public were answered. June 28, 2018.
that is destroying homes in Puna district. June 26, 2018.